Any seasoned comic book reader — or really anyone who knows their pop culture — should know that you can never be sure that a character is dead unless you find their body. And even when they do find a body there’s the chance that it’s a clone, robot, time traveler, impostor, etc. 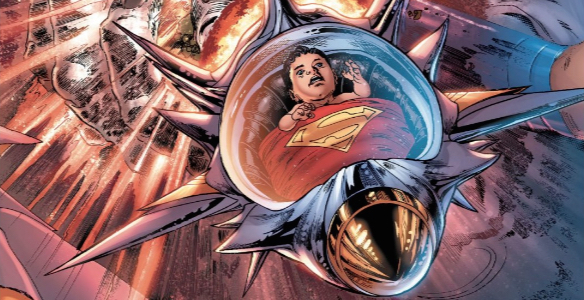 While we haven’t found any bodies per se, in Man of Steel 3 it seems that Brian Michael Bendis has just killed…The Bottle City of Kandor. The bloodthirsty, alleged Krypton-killer Rogol Zarr has made his way to Earth and breaks into Superman’s Fortress of Solitude. After overcoming the Fortress’s defenses, he trashes the place off-panel. 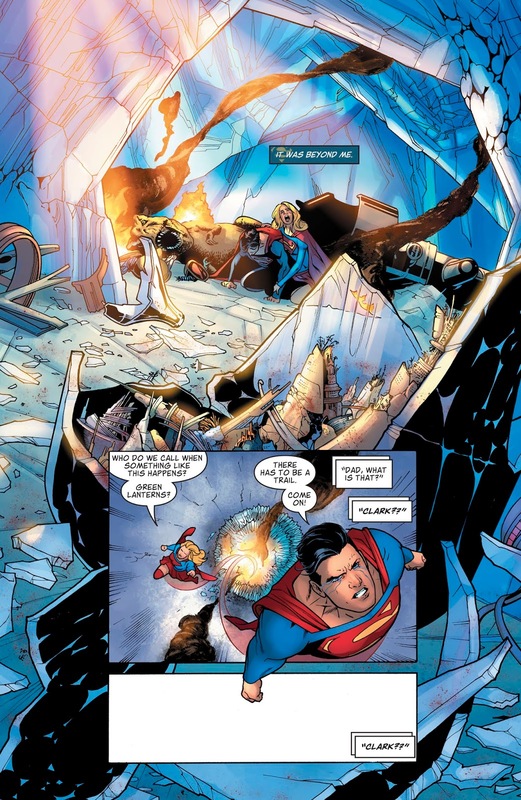 Both Superman and Supergirl arrive to see the destruction. While there aren’t any minuscule Kandorian corpses, the bottle city itself is destroyed and Superman assumes the worst. 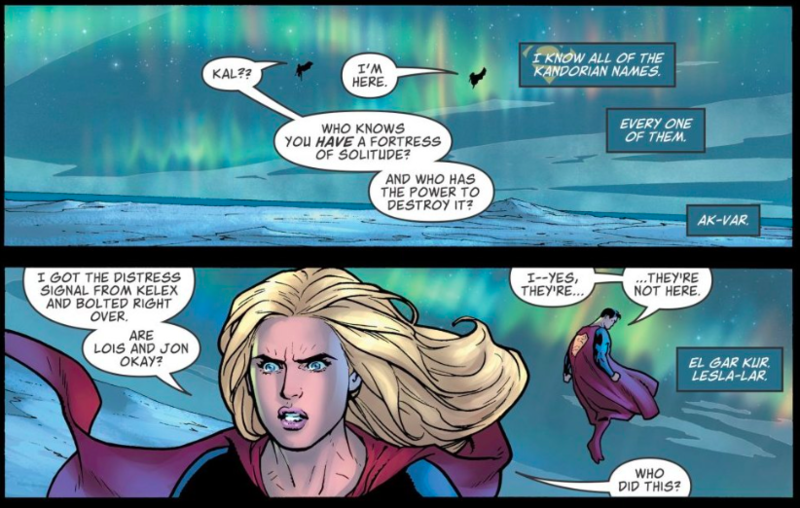 Superman has memorized the names of every single Kandorian, which is a very Batman thing to do. But where Batman would memorize them out of compulsion, Superman does so out of compassion. Again, Bendis shows an understanding for Superman’s compassion for others — and the immense guilt he feels when he doesn’t save the day. The incorporation of Supergirl is essential in Man of Steel 3. For one thing, Lois and Jon are still mysteriously M.I.A., so Kara is really the only family member he has to share his grief and anger with. But more importantly, these are her people, too. Ryan Sook crafts a page that highlights the cousins’ devastation as well as Kandor’s significance. Sook frames the main panel with the perspective that the miniature city is now not just large but larger than Clark and Kara; their grief has made them feel small. Say it ain’t so, Bendis! Mr. Bendis, why, in the name of RAO, you didn’t bring Krypto the Superdog in this frightening Rogol-Zaar drama?